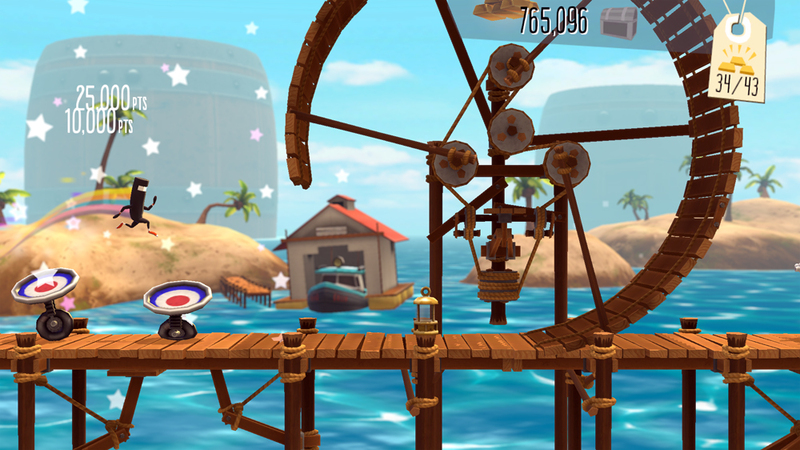 Runner 2 sprints onto the Vita. How does it fare? Let’s have a look! For those like myself who are new to the Runner series, let’s start with what this game is. 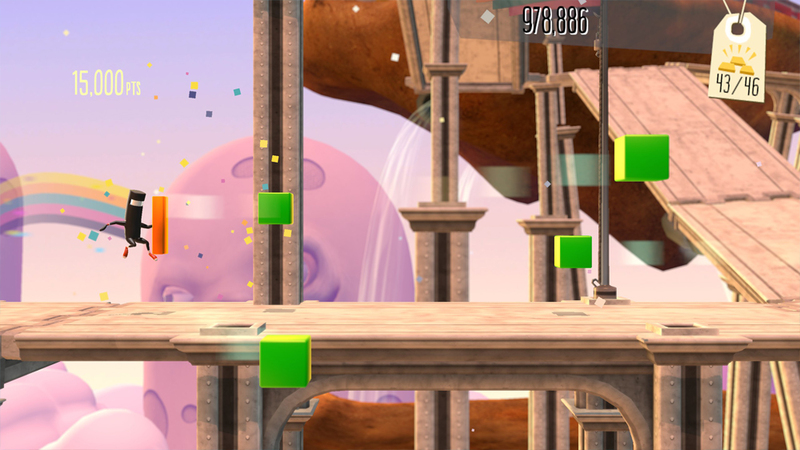 Runner2, as its name might imply, is an endless musically enhanced runner platformer. You do not control the speed of your character, Commander Video and many others, as you move forward. You don’t stop running until the level is over or you are injured. If you do take damage, you will be transported back to either the beginning of the level or at your most recent checkpoint. As you advance through the early levels, you will acquire more and more moves which you will need to make it through: jumping, sliding, kicking, deflecting etc. This game absolutely keeps you on your toes. All that might be a game worth playing on it’s own, but where this game truly shines is it’s wonderful synchronization of music and gameplay. Because the speed at which the game happens is a constant, it is able to play notes when you grab gold or knock down a wall in time with the beat. The end result are some very fun tunes that feel like you are creating yourself! At the end of each world, you will also need to defeat a boss. 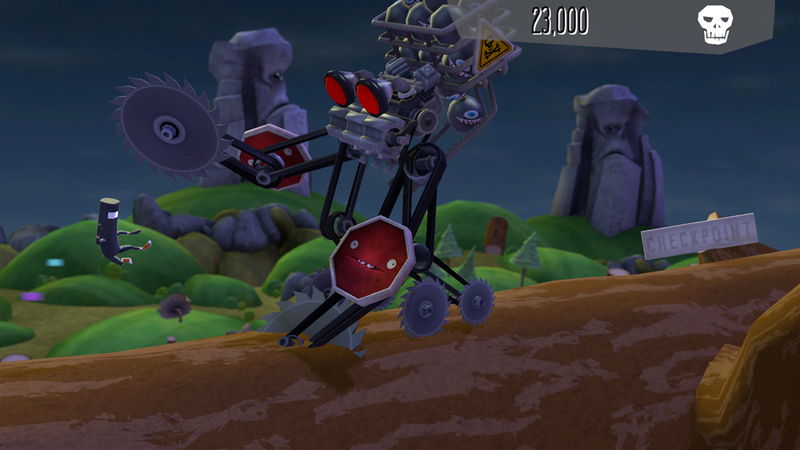 These crazy contraptions create a situation that can play out more like puzzle solving than just combat. Thankfully the checkpoints are a bit more forgiving for these contests. As a nice little bonus there are lots of collectibles and unlockables. 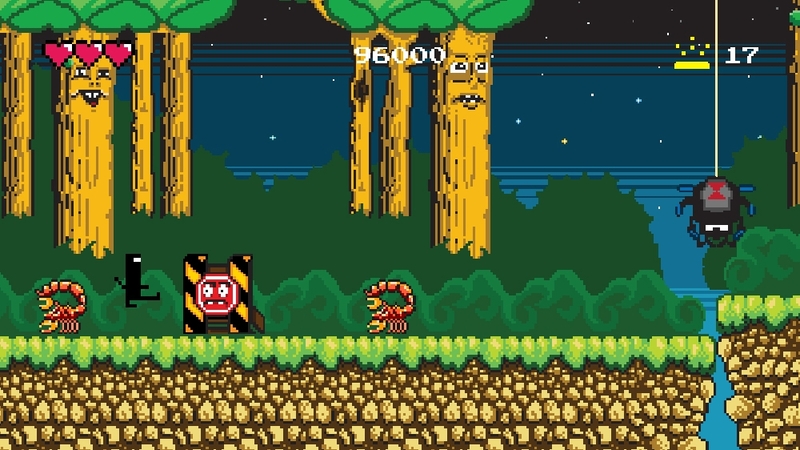 Retro themed levels, additional characters, costumes, and more. I was particularly fond of Uncle Dill, an anthropomorphized pickle who stumbles around drunkenly when you pass checkpoint gates. A game of this type lives or dies on its precision. Being able to time your jumps and other actions is critical. After a few levels, I began to feel like I was consistently late on my button presses. This could easily be blamed on my aged reflexes but I felt like it was worth mentioning. I downloaded the demo for Runner2 on PS3 to see how it compared. It may have been my imagination, but I really felt like everything was slightly more responsive on the console version. Whether that is the case or not, the Vita version runs smoothly, looks great, and plays fine when you have the timing figured out. -Great music, nice gameplay variety. -Fun, silly storyline. Doesn’t take itself seriously. -Plenty of secrets and unlockables to bring you back. -Endless runner type games aren’t everyone’s cup of tea. Review code was provided by Gaijin Games. It is available digitally for the Vita for a retail price of $9.99 ($7.99 PS+). DLC is available in the form of new playable characters.